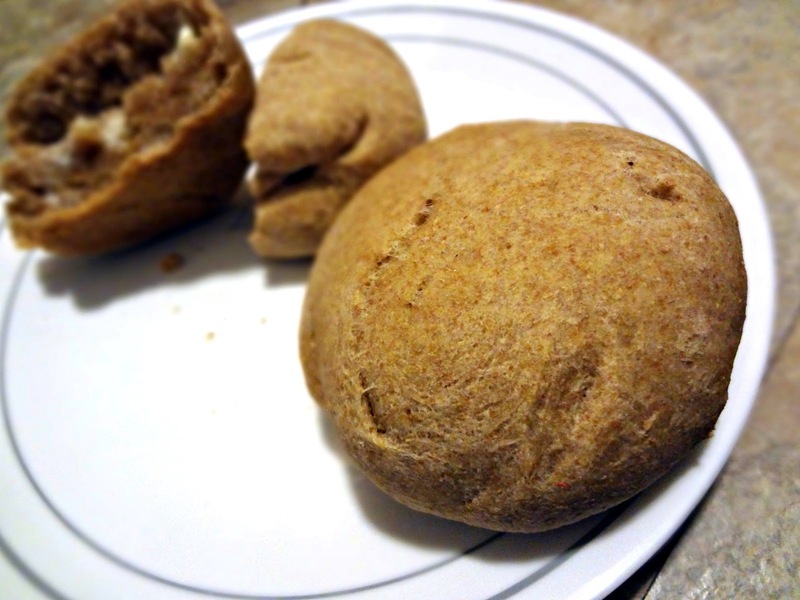 Adapted from back to her roots "Whole Wheat Garlic Knots"
In a large bowl, whisk the flours together. Make a well in the center of the flours and pour in the yeast mixture, 2 tbsp olive oil, and salt. Using hands, mix until everything is incorporated. 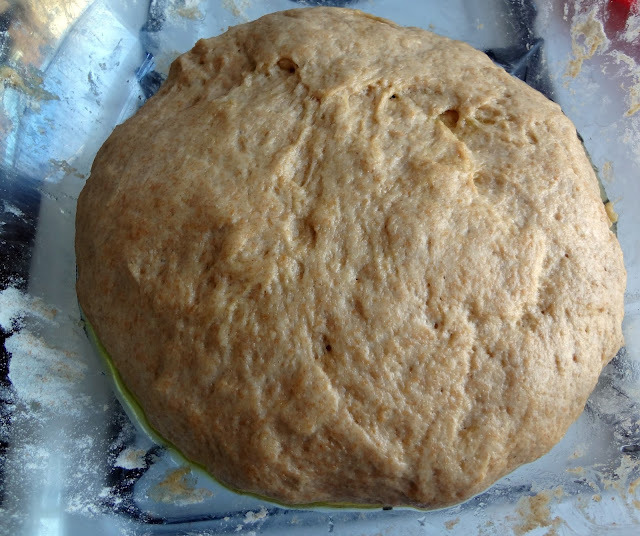 Knead (in the bowl) for 5-10 minutes, until the dough is smooth. Pour 1 tbsp. oil over the dough and coat it. 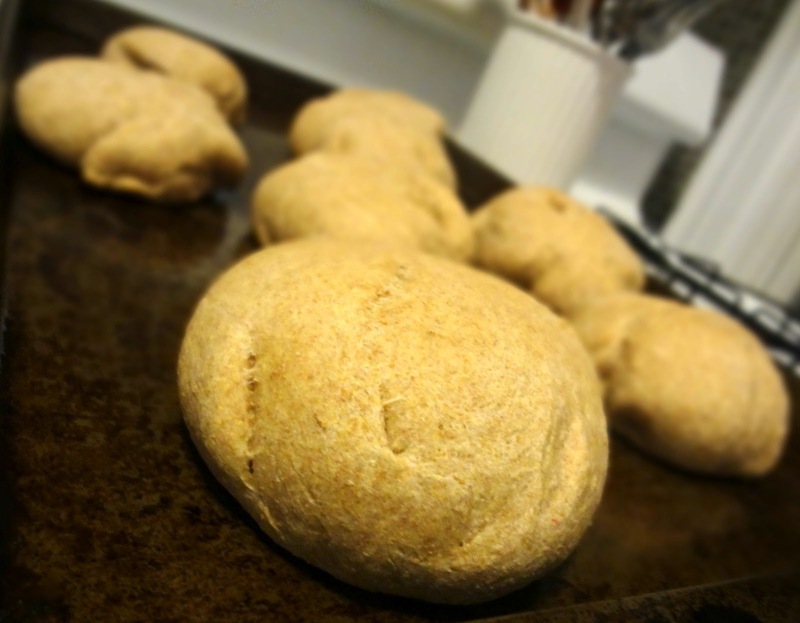 Once dough has rise, form into balls in the shape/size of rolls you desire, and place on a greased cookie sheet. Let rest 30 minutes, in a warm place, covered loosely with a towel. 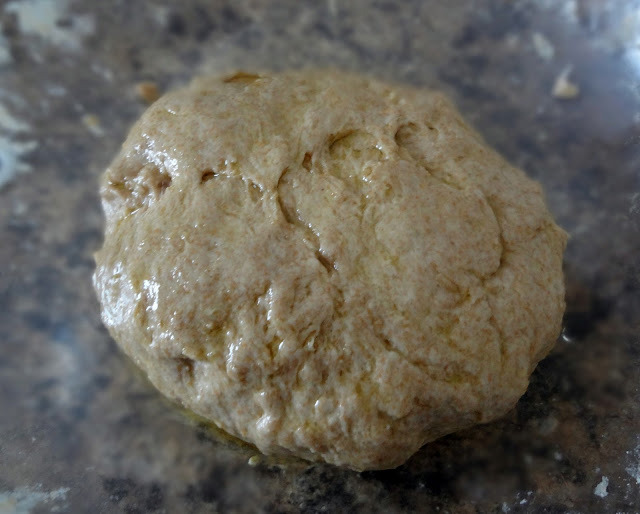 Bake in an oven, preheated to 400 degrees, for 10-12 minutes, until just brown. Pull off hunks of risen dough, roll into snakes, and tie into an overhand knot, tucking ends under. 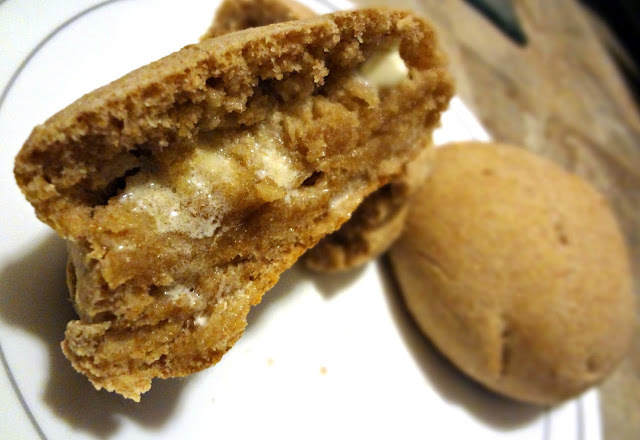 Place knots on a greased cookie sheet. Cover loosely with towel and let rest in a warm place 30 minutes. Bake in an oven, preheated to 400 degrees, 10-12 minutes, until just brown. While baking, combine the extra ingredients in a large bowl. When the knots are done baking, toss them in the garlic butter mixture-make sure some garlic and parsley stick to the knots. 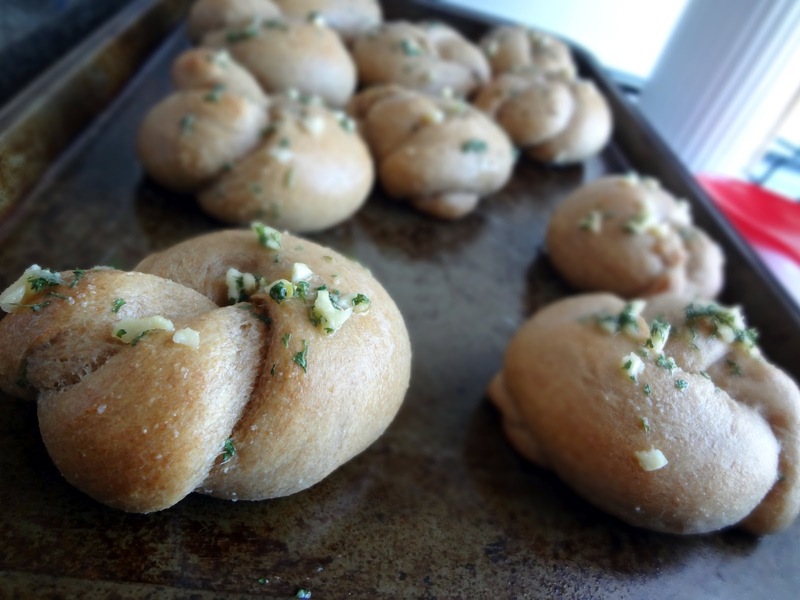 I love the creative take on garlic knots - all the delicious garlic flavor without the guilt thanks to the whole wheat =) I've added your blog to my Google Reader subscription list as I hadn't visited before and thanks for sharing with Made with Love Mondays!